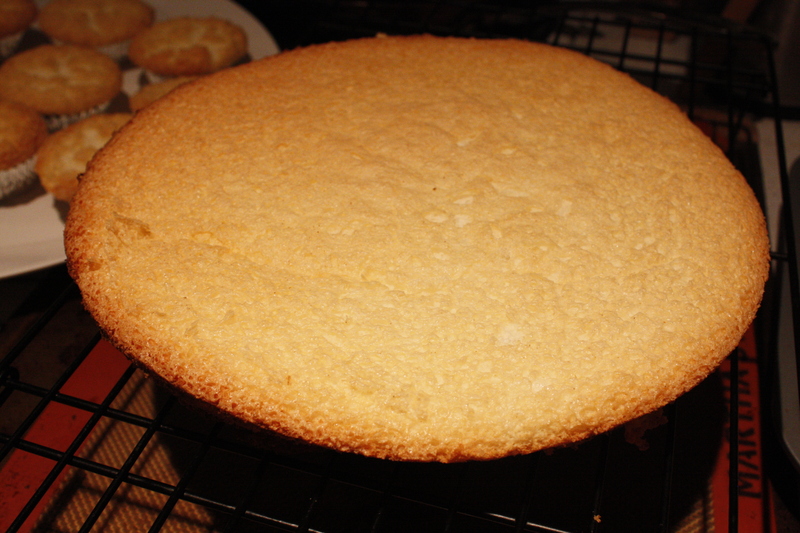 Sometimes angel food cake is all the cake one needs. 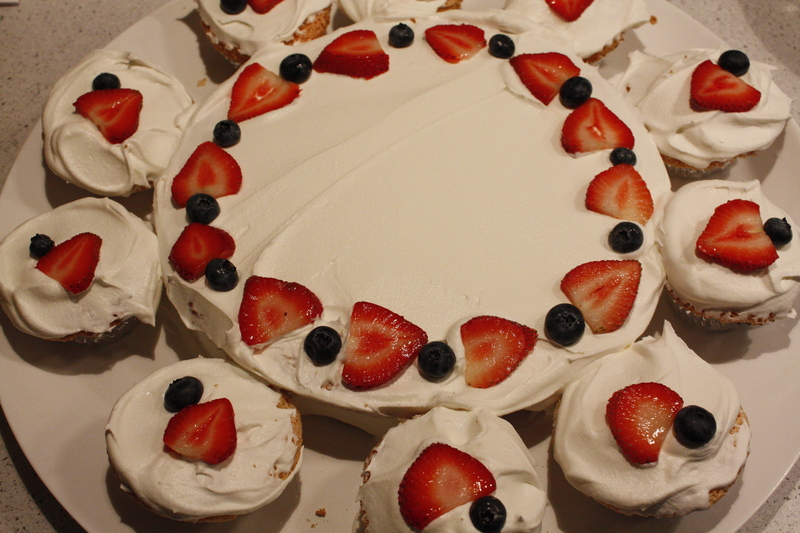 A little bit of cool whip, berries and we have a nice summer treat. 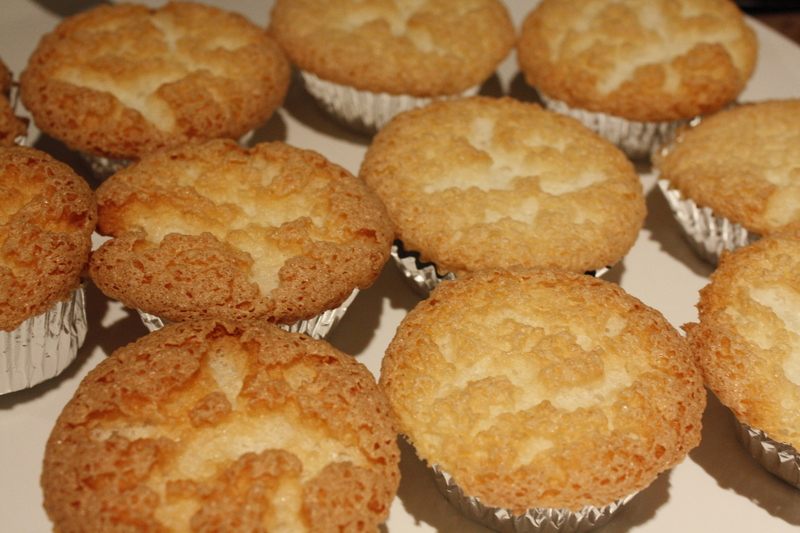 Airy angel food, fluffy topping and a bit of sweetness and tang. So good. Preheat oven to 350F. Very lightly grease a 24-cup muffin pan (skip this step if your pan is nonstick). In a small bowl, sift together flour and 1/2 cup superfine sugar. In a large bowl, beat room-temperature egg whites until foamy, then add in cream of tartar and salt. 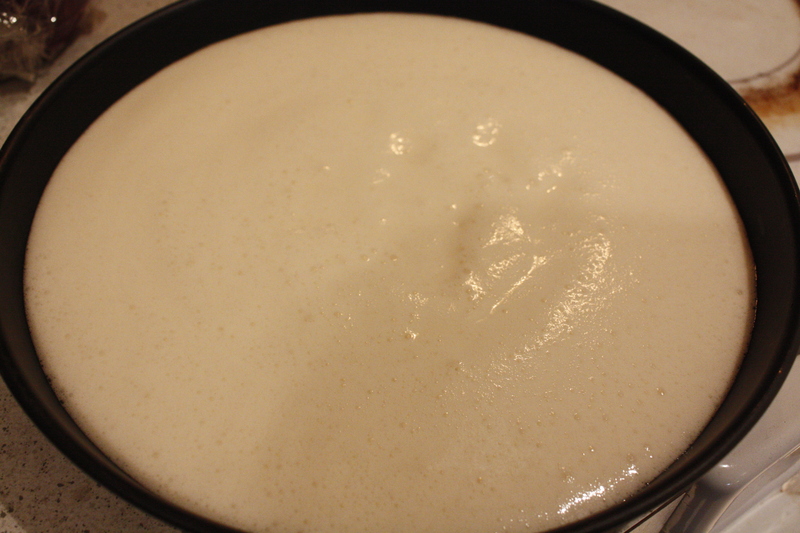 Gradually add in the remaining superfine sugar while the mixer is on high speed, beating the egg whites to soft peaks. Blend in vanilla extract. Fold in flour mixture, adding it in two or three additions, and fold in chocolate chips when all other ingredients have been incorporated. 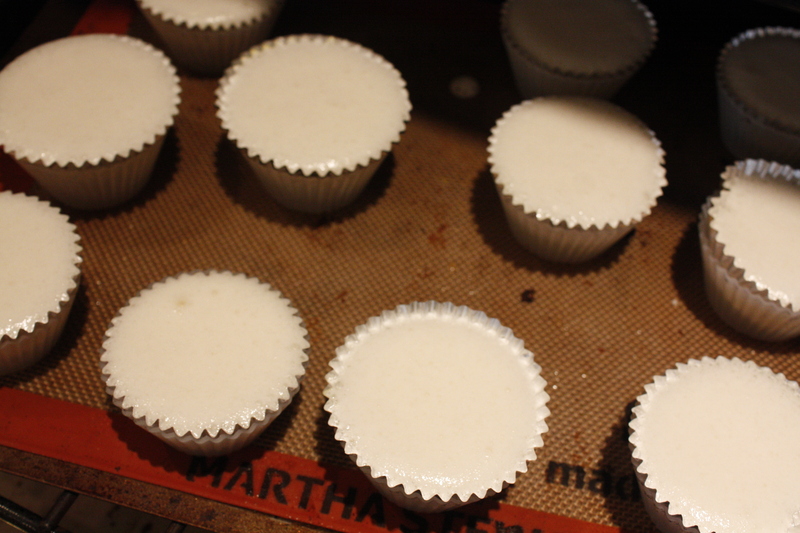 Divide evenly into prepared muffin tins, filling them just about to the top. 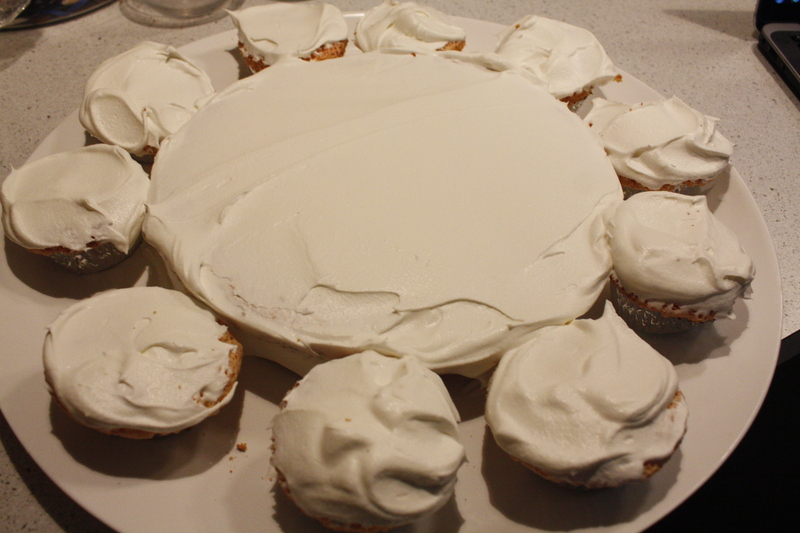 Bake for 28-20 minutes, until tops are golden brown and the cakes spring back when lightly touched.